Pisces are spiritual beings ruled by their feelings. Their journey through life involves soul searching and a serious retreat into the hazy world which exists between fact and fiction. While they are very happy traveling the paths of their inner world, Pisces compassion and need to help others will ensure they return to the real world regularly. Pisces tend to go where life takes them. If they do not like their current direction, they simply retreat into themselves until their path changes. One of the great dangers for Pisces is they sometimes become so involved in their dreams and fantasies that they find it difficult to separate real from unreal and truth from deception. Another danger is that their empathetic nature makes it easy for others to take advantage of them. Pisces must not allow themselves to become detached from those around them because these sweet spirits will become depressed, pessimistic and silent. Gentle Pisces are usually far too shy to toot their talents which in the arts are very prominent. Their compassion and empathy are their greatest assets - which makes them a great ally for just about anyone and everyone. Pisces needs to be needed. They suffer from a fear of rejection and occasional low self-esteem. 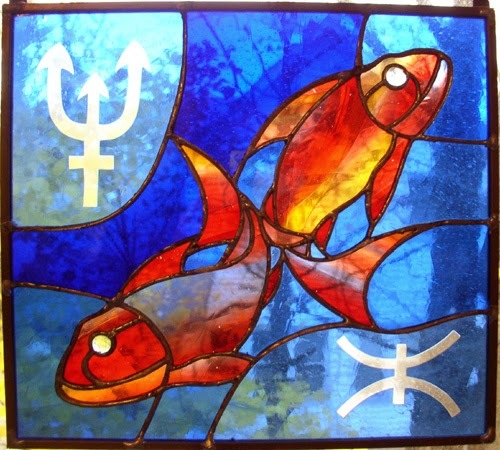 Pisces are tender and caring but frequently become the victims of domineering and uncaring partners. They submerge themselves in the experiences of their mates. If their partner is strong and genuinely caring, lucky Pisces will soar to new heights. Conversely, if they find themselves in an unfulfilling relationship, they will prolong their agony - feeling they must have done something wrong to deserve the misery they suffer and this tends to make them become somewhat of a martyr. Pisces do best when involved with a solid personality who will enjoy their romantic fantasies with them. There is no one more loyal and caring than a Pisces but their need for emotional and sensual reassurance sometimes leads to outside flirtations. Pisces are the most loving and giving of all 12 signs but their ability to select an inappropriate partner is legendary. In the right relationship, their sexuality blossoms and becomes something of an art form, especially as they get older, more experienced and more confident.